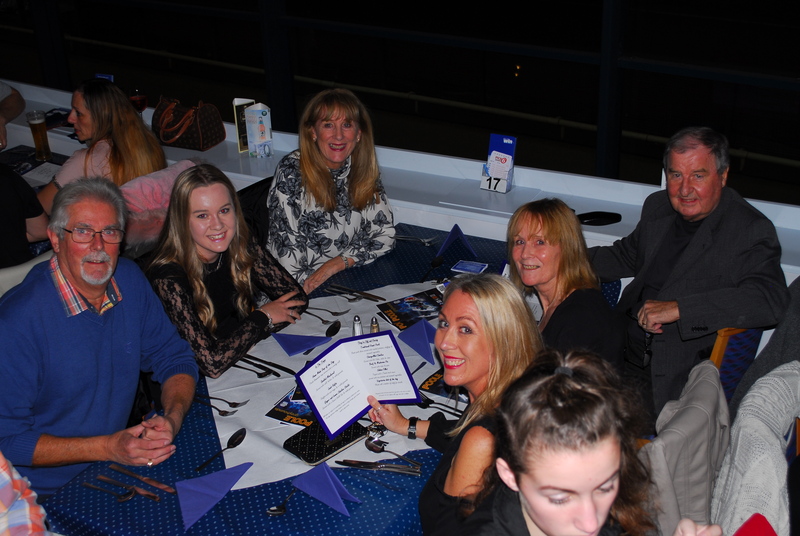 Over the last two years this night out has proven to be very popular and this year 30 members and guests joined together at Poole Stadium for another night of greyhound racing. On arrival at 6.30 we entered the very comfortable restaurant and found our group of tables. Once seated, the table staff took our orders for our drinks and choice of the two course meal which is included in the overall price of £12.50 and also includes entry and a race card. The racing started promptly at 7.15 with a race every 15 minutes. You are able to place a bet at your table on the tote system and the track is visible through the windows or you can follow the race on the overhead television screens. There are always winners and losers, but by betting on the tote you are able to control the urge to place high bets. My own personal choice of dogs was not very good, a number of them only had three legs and most of them seem to suffer from arthritis or be recovering from hip replacements. However this did not spoil the evening, there was a really good atmosphere and I believe the group enjoyed the evening, I received many requests for us to do it again next year so look out for information next August / September for another night at the dogs.